In early December we had the opportunity to share our project at Art Basel Miami! 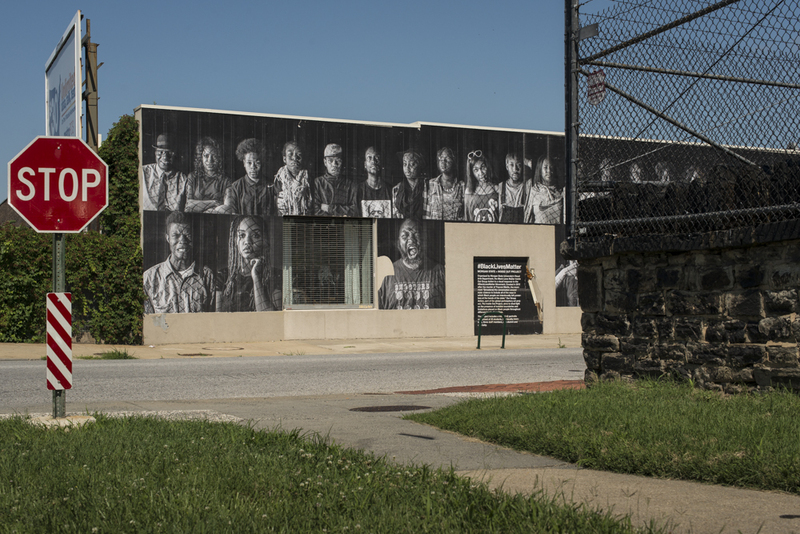 Along with a large panoramic image of our installation, we shared 12 of the 42 portraits, and created a video documenting the project. Check out the video and check out my son on the mic. It's taken three days, but the front is finally complete! We still have eight large images to install on the north side of the building, but we feel good about where we are so far. 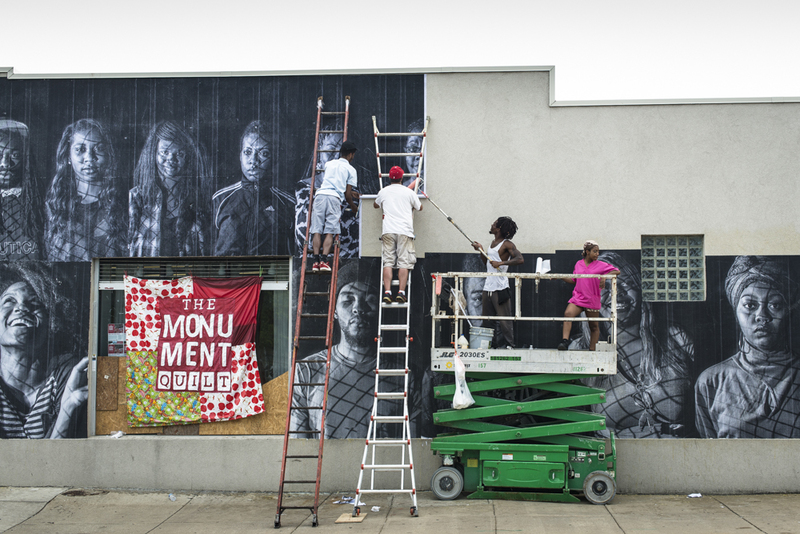 For those of you who would like to visit the site, we've been pasting at 1400 Greenmount Ave., the future site of Open Works, a community oriented maker space. The response has been very positive from the community and the many people in cars who stopped to take pictures and ask about the project. I'd especially like to thank my Morgan students, who were instrumental in both the conception and execution of the project. Without their participation in the project, none of this would even be possible. A special shout out goes to Bilal Johnson-Bey, Tavon Nelson, Alexis Ray, Kristian Robertson, Damien Taylor, Richard Williams, Ashley Duncan, Charles Mason III, Morgan Wilson, Cheyenne Bass, Symone Hardy, Daniel Goddard, Avery Brooks, Eric Briscoe and Guy Jones, who all donated their time to assist with the installation. Oh...and Kelli Williams too. She may have had a little something to do with how well this project is turning out. There's others I'll be thanking once the piece is complete, but for now, check out some documentation from the installation. Two dope videos off the latest Flying Lotus release, You're Dead. You're welcome. I've been working on a film poster over the break and came across some useful information for my design students who may run into the same issue at some point. How do you design a professional looking billing block using Adobe Illustrator and Warichu East Asian characters settings? What are the film industry standards for arranging content in a billing block? Thanks to Deke McClelland and Ben Schott for the info!